In this time of financial uncertainty, it is always helpful to know a few ways to save some money when it comes to planning your Walt Disney World Resort Vacation. Now I am not condoning the extreme low budget vacation where you get water with lemon and add sugar to make free lemonade. I am going to talk about real ways to have an enjoyable vacation and save a lot of money by making some simple choices and decisions. Plan your trip to be 6-7 days long. With the pricing structure of the Disney World Theme Park tickets it is in your best interest to schedule one longer trip as opposed to 2 shorter trips. The Disney Theme Park Tickets are one of your largest expenses. A family of 4 can save nearly $1,000 by taking one longer vacation versus 2 short ones. Disney's Magical Express Service should definitely be used if you are flying. This provides FREE shuttle service to and from the Orlando International Airport (MCO) to your Disney World Resort Hotel. By not getting a rental car or paying for a taxi or shuttle you can save nearly $200 for a family of 4. Take advantage of Disney World Resort Discounts. During most of the year Disney World offers significant discounts for its Resort Hotel rooms. You can find the current discounts at: Only WDWorld Disney World Discounts - Current. You can often save hundreds of dollars by using these discounts. The Disney World Resort Hotels are the one area that Disney World regularly discounts so it is in your best interest to take advantage of it. Purchase Base Magic Your Way Tickets. The Disney World Theme Park Tickets are called Magic Your Way (MYW) and can be purchased as Base Tickets for the number of days that you wish. There are also add-on options called Park Hopper and Water Fun & More. 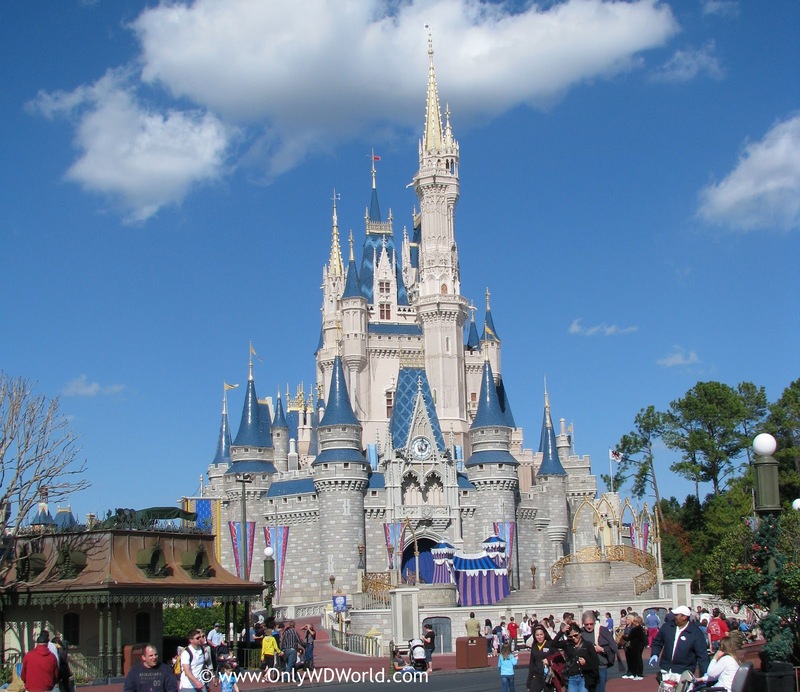 If it is your first Disney World vacation avoid the urge to add these options. They may unnecessarily add hundreds of dollars to your family's vacation bill. Even if you think you might need the option, remember this tip: Options and ticket upgrades can occur any time during your vacation without cost penalty, but you cannot downgrade your ticket to one without options if you find you didn't use them. Stay at a Disney World Resort Hotel. If you do not plan to spend much time in your room, opt for one of the Value Resorts and you still get all of the great amenities like: Free Parking at the Resort and Theme Parks, Free Park Transportation, Free Magical Express, Extra Magic Hours, & close access to Disney World Parks so that you can easily take a mid-afternoon break. The Value Resorts can be priced as low as $56/night with some of the discounts that are offered during the year. Stick to the 4 main parks to avoid the "extra expenses". There are more activities in the 4 main parks than you can do in one week's time. In order to minimize costs, skip the Water Parks, Miniature Golf, Bicycle and Watercraft Rentals and all of the extra expense activities that you can do at Disney World. If you want to get beyond the parks visit the Boardwalk or Downtown Disney, or use the Disney World complementary transportation to have dinner at one of the Resort Restaurants. If you have already paid for the admission to the parks use that admission to the fullest. The extras are nice, but can add a lot of cost to your vacation. Don't forget the parades, nighttime shows and fireworks. This is where Disney World separates itself from other "parks". Set an allowance for souvenirs and impulse purchases ahead of time. Determine your budget for those types of items before your trip and make sure that you and the kids stick to it. There is an endless stream of opportunities to buy items on the Disney World property. Accept the fact that you cannot buy everything and set a budget that you can live with. If you decide after the trip that you really wish you would have made a specific purchase, you can call guest relations and they can connect you with cast members that can take your order and ship the item to you. It is not talked about much, but you can do this. Also make sure you keep copies of the Park Guides and Maps to take home. They make wonderful additions to scrapbooks of your trip. Set A Budget For Food. There are many different ways to keep for expenses down while still enjoying your vacation. The Disney Dining Plan will provide some savings, but its biggest benefit is you know ahead of time what your dining expenses will be. If you are not using the Disney Dining Plan then consider this tip: Many of the nicer table service restaurants offer most of their dinner menu during lunch at a significant savings. For example, if you really wanted to try the Signature Dish at Le Cellier - the Mushroom Filet you can order it for lunch for $11 less than what it will cost you at dinner. This is also true with the Disney World Buffets. There is a significant savings if you dine there for lunch instead of dinner. For most restaurants Lunch is considered to be from 11:00 am - 3:00 pm. You can use any or all of these tips to save significant amounts of money without depriving yourself of a great vacation experience. A Disney World Vacation may never be considered cheap, but there are certainly ways to avoid paying more than you have to and still have the vacation of your dreams! 4 comments to "Disney World Vacation: Top Money Saving Tips"
Really an interesting post.Thanks for an insightful post.It’s my first visit.I like very much your way of presentation.Keep up the good works and hope you post again soon. Considering such ideas is very helpful especially when your travel budget is not that big. It only implies that you can still find areas or ways to save money while spending a vacation. This could include your choice of food, vacation rental, car rental and recreation activities. This could be a really great advantage. It help us what is the proper way in saving. Thanks for implementing this.